Who's your 가장 좋아하는 Torchwood Member? Ianto! God, I 사랑 Ianto. I loved the way his character developed from the guy who sits in reception, looks good in 슈츠 and cleans after everybody, to this strong, sarcastic and funny guy. Of course I have to mention his relationship with Jack as I 사랑 those two together. 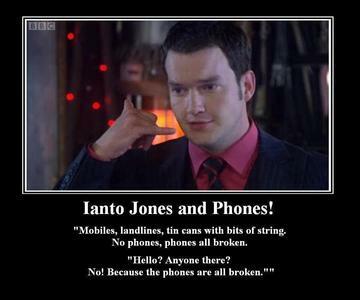 Go Ianto! Gwen, I think. I 사랑 Jack so much but Gwen is very important for me. She's not ideal, but she's brave, kind, straightforward, faithful, cheerful. I 사랑 her really. That's the one character I can't stand in the show. I don't know why, but I disliked her from the first episode.